This past Tuesday saw the closely watched ten year Treasuries reach their highest yield level dating back to January of 2014. This steady surge past three percent set off alarm bells among economists and investors alike. They are a clear warning signal that even higher interest rates are in the future cards for the largest bond market in the world that is oversupplying bonds even as the Federal Reserve remains determined to increase interest rates. This benchmark yield impacts financial instruments from dollar bonds for developing nations to United States' mortgage rates and corporate borrowing costs. 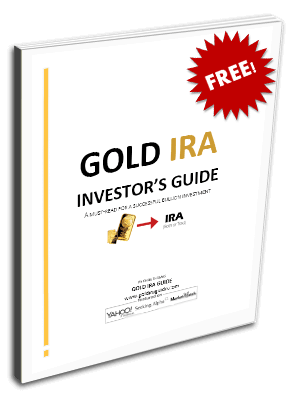 It is a prescient reminder for why you need to include IRA-approved gold in your retirement portfolio. Gold makes sense in an IRA as it protects you from spikes in interest rates that can easily upend financial markets and upset the overall economy. You should start looking into the top five gold coins for investors now before the rates march any higher. Yet the most recent indications from Federal Reserve officials are for another two interest rate increases during the remainder of the year. Market participants are pricing in a third at this point. Mega investment bank JPMorgan believes that the Ten year Treasury yields will finish the year trading at 3.15 percent. This is also the Bloomberg surveyed median forecast for another 56 analysts. If recent history is any guide, these yields are problematic at best. The prior point where ten year yields surpassed three percent saw the “Taper Tantrum.” This wiped out the bond market and significantly set back stocks as well. Treasuries eventually rallied after the tantrum ended. It is worth investigating what the shorter term Treasury yields are doing too. Many economists like to compare the ten year to the two year yield Treasury note rates. These two year's similarly breached a decade long high last Tuesday. They attained 2.5 percent, a level not seen since September of 2008 during the Global Financial Crisis. The relatively small spread between the longer term and shorter term dated Treasury yields signifies that bond investors believe that debt which must be paid back in only two years is almost as high risk as debt not due to be repaid for ten years. This is not what you should expect in an economy working regularly, as shorter term lending should come with lower risk. It stems from the logical idea that investors can more realistically anticipate risk events that will transpire in months rather than over the course of a decade. In other words, investors will not take the risks willingly of tying their money to Treasuries for ten years when they can capture nearly as high a return for only two years. Something is dramatically different from four years ago in the economy now though. This is the government's runaway national debt and yearly deficit. By the year 2020, the American federal budget deficit will be greater than a trillion dollar per year. The Congressional Budget Office this month claimed that this was a full two years earlier than their prior estimate. This only adds on to the over $20 trillion total federal government debt. As this is ongoing, the Federal Reserve is shrinking down the size of its bloated balance sheet built up during the Global Financial Crisis and Great Recession. These two factors together signify that the quantity of new net debt issued will surge considerably higher in coming years. The Department of the Treasury is worried enough about the potential ramifications to request that its primary dealers provide their forecasts of the country's borrowing needs in the next three fiscal years, before they announce the upcoming quarterly refunding needs on May 2nd. In the past week, Treasury floated $96 billion in seven, five, and two year dated notes, its highest amount of fixed rate coupons dating back to 2014. All maturities are seeing several year to decade long highs in their current yields. This attitude shift among bond investors would amount to a dangerous game changer in the market. It is not only the U.S. government that will struggle to pay its enormous debt servicing interest if yields on Treasuries continue to rise past three percent. The entire U.S. and global economy (along with asset markets) suffers from higher rates. This is in part because banks use the benchmark ten year bond yield to set pricing for home mortgage loans. Higher mortgage rates will reduce consumers' capability to spend money. Companies and corporations suffer from these higher interest rates as well. It means that they will incur greater costs when they borrow money in the future and on rolling over their present debt servicing. This will in turn reduce free flow cash for investments, higher salaries, and dividend payouts to shareholders. Stocks become less attractive and subsequently decline as a result. One billionaire bond king at least is concerned about the ramifications. Jeffrey Gunlach worried that if these ten year yields close higher than three percent, bond investors will place bets on rates rising still more. This vicious cycle that raises rates even higher will increase fears that both a stock and bond market crash as well as a possible financial crisis could be nearing. This is yet another reason for why you need to add approved precious metals to both your investment and retirement portfolios. The IRS has made this easier than ever now. Today you can keep your Gold IRA contents in top offshore storage locations. You can even buy gold in monthly installments to help build up a holding of the yellow metal over time.